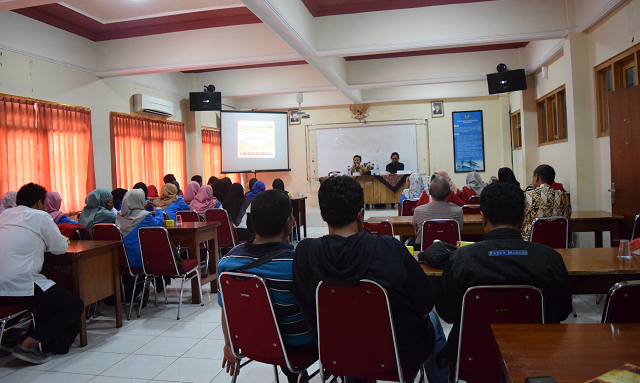 Located on campus 1, 2nd floor of Universitas PGRI Madiun held a book review, on Monday, October 22nd, 2018. The book that was dissected at the event was a novel entitled Metanusantara by Suharyoto Sastrosuwignyo. This 448-page novel is not just a fiction, but it is a long history of the Indonesian nation or what was first known as the archipelago. 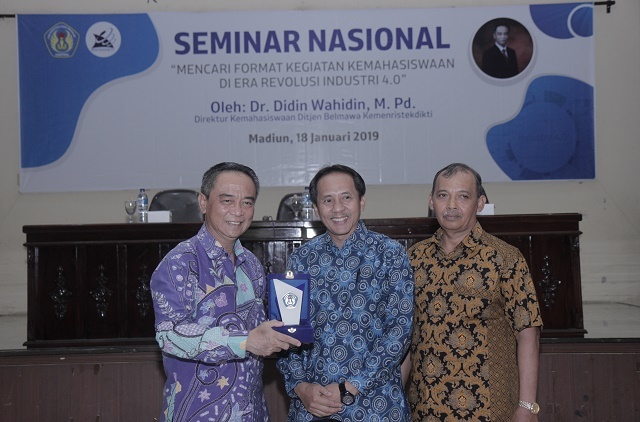 The history summarized in the Metanusantara novel is complete from the time of the kingdom to the era where technology is increasingly sophisticated. By conducting the Novel Metanusantara surgery, it also indirectly dissected the history of the archipelago. 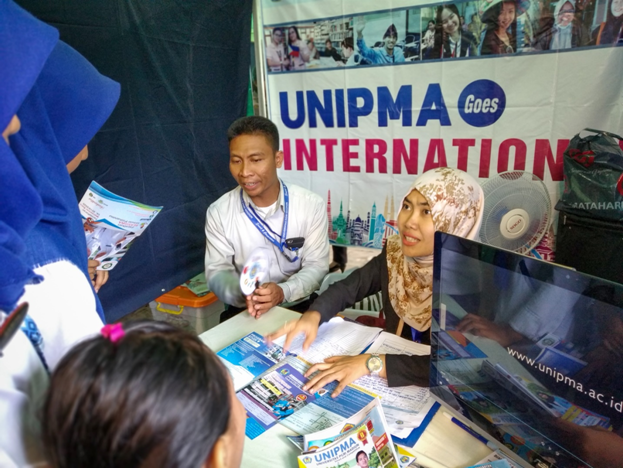 This book review activity is not only for Unipma students, but is also open to the public. 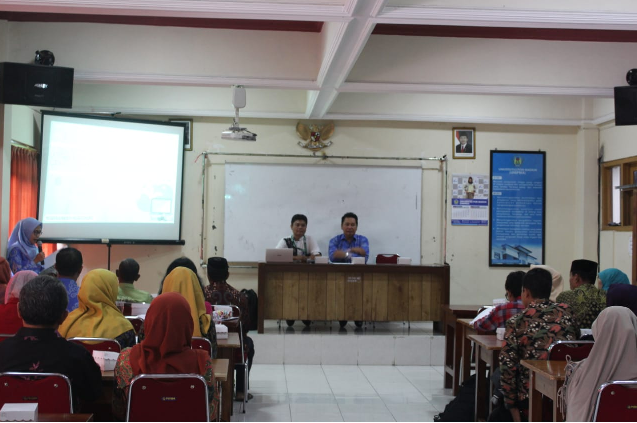 Rian Alfianto, a student as the committee of this book review explained that "The purpose of this book review is to add insight and knowledge to students and the general public who participate in the literature. Besides that, with the main discussion of the Metanusantara Book, it is hoped that we can get to know more about our nation's history. " What is interesting about this book review is that the book dissected is the author himself, namely Suharyoto Sastrosuwignyo or better known as Aryo Metateater. 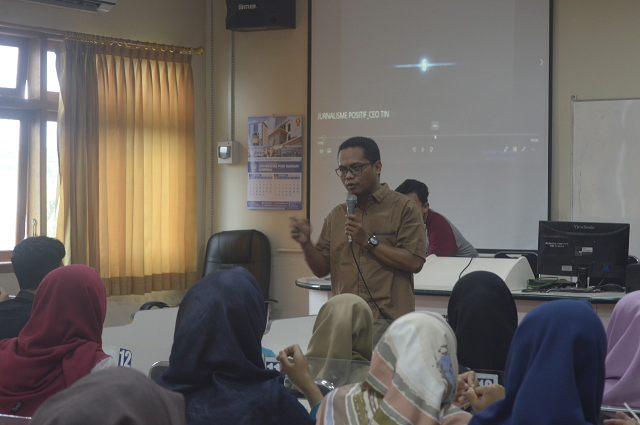 Accompanied by Mr. Panji Kuncoro Hadi, who was one of the Unipma lecturers as a moderator, Suharyoto Sastrosuwignyo explained a lot about the contents of the book he wrote. His presentation also raised many questions for bookkeeping participants, so they enthusiastically asked questions to the speaker. Suharyoto Sastrosuwignyo advised the book participants to not only make the words "Red Suit" a mere slogan, but really instill it in each participant, so they want to learn about the history and culture of Indonesia. On that occasion Suharyoto Sastrosuwignyo also brought many novels to be purchased by bookkeeping participants.